Bacteria from the animal are often present on the surface of the raw meat and poultry. When the meat is ground, the bacteria are mixed throughout the meat. After about 10 to 15 minutes of cooking time, check the burger for doneness. Place an instant-read in the center of the thickest burger. If the burgers are quite thin, insert the thermometer horizontally, from the side. According to the USDA, the minimum safe temperature for ground meat is 160 F (71 C), or well done. For ground turkey or chicken, the minimum safe temperature is a little higher, at 165° F (74 C). It typically takes from 10 to 15 minutes to reach either temperature, depending on the thickness or size of the hamburgers. It is particularly important to cook ground meat to a safe temperature for children or the elderly. They are the most likely to be seriously affected by a foodborne illness. After using a food thermometer, always clean it with hot soapy water. 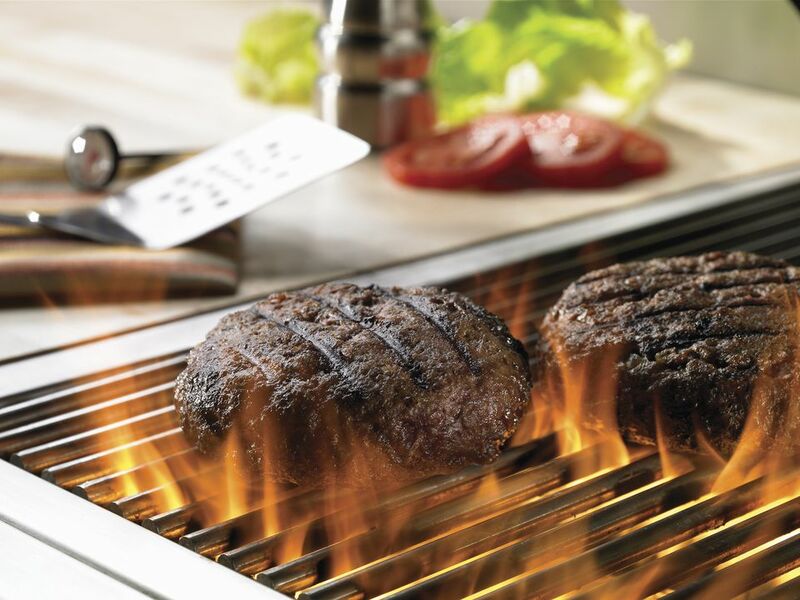 Now that you know how to cook a burger safely, it's time to cook some up. Here are some delicious burger recipes for you to try out at your next barbecue.